FUSION was created and designed for those who love to train in an energetic and motivating team environment. With full body workouts that unleash your inner athlete, our gym in Glen Allen will help you reach your fitness goals. 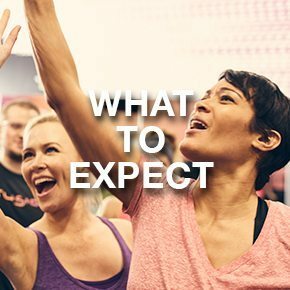 Led by a FUSION coach at our Glen Allen health club, you'll be challenged through a full body workout using the latest equipment and your own body weight to get you results. The training schedule for our brand new, one-of-a-kind small group and team training program, FUSION, is available online. Checkout this month's schedule, and we'll see you in class! Meet the coaches who lead our gym members throughout our FUSION small group and team training in Glen Allen. They're here to help push you through our program designed to boost metabolism, burn fat, build strength, and more!